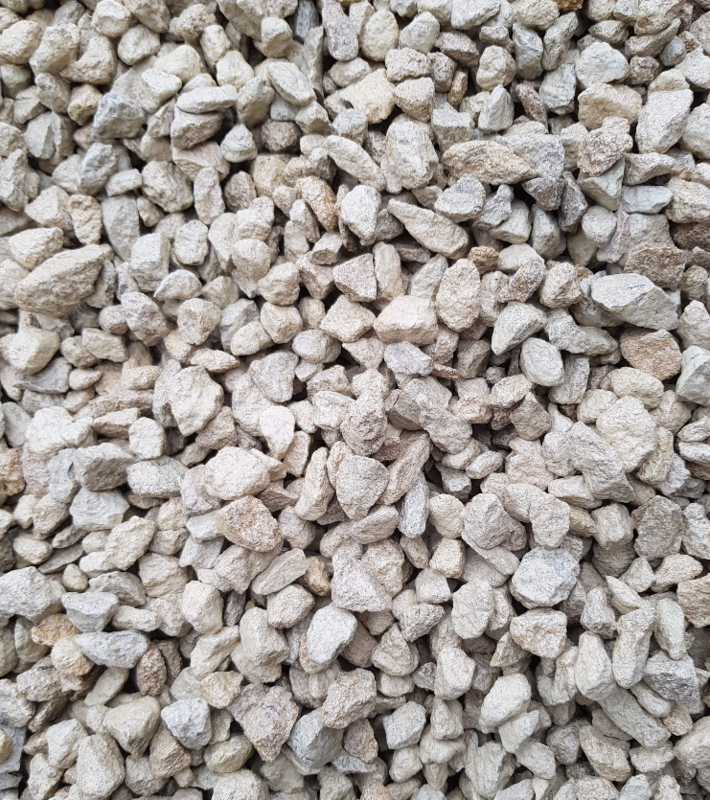 Cotswold Buff gravel is a dolomite type aggregate available in a 20mm size.A clean and crisp looking gravel . This size is ideal for driveways, looks great, very easy maintenance.At 2 â deep a 1 Tonne bag will cover an area of approx 18 sq. Metres.